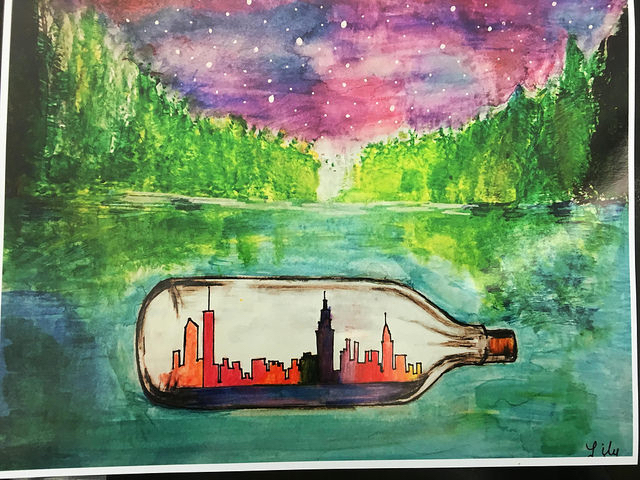 More than 1,300 students entered this year’s Water Resources Art and Poetry Contest, sponsored by New York City’s water utility, known as the Department of Environmental Protection. Some 60 winners were named as “Water Champions” by a panel of judges. 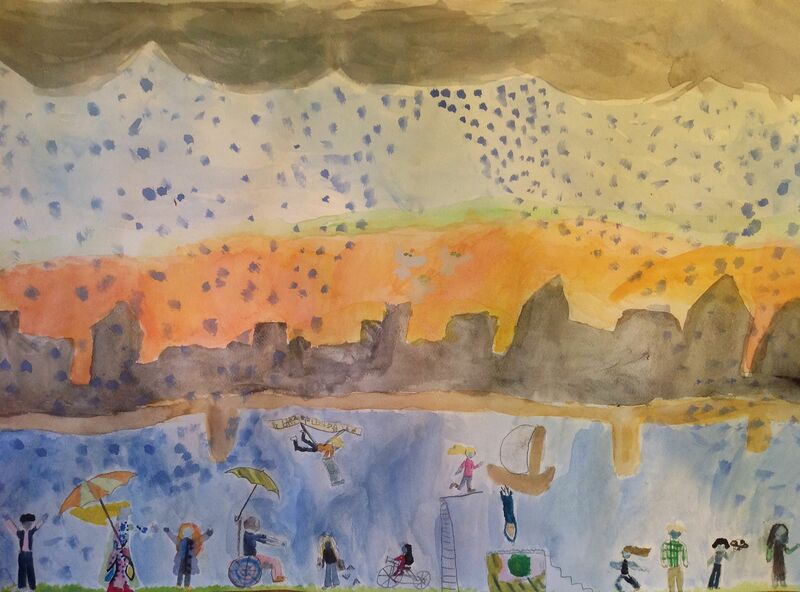 Art by Lily H., grades 6–7. 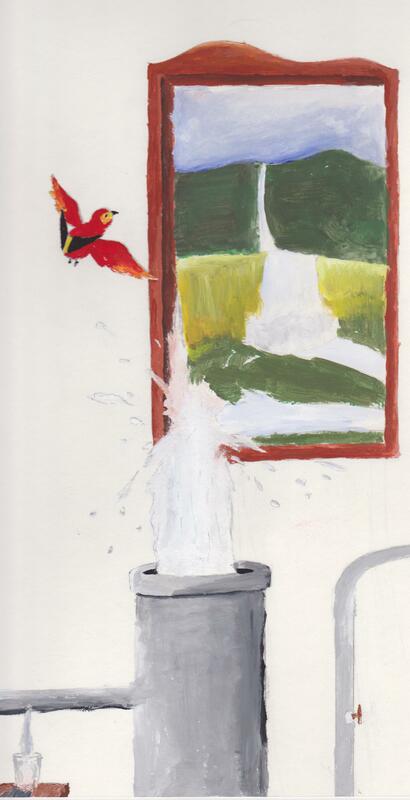 Each year, the New York City Department of Environmental Protection holds a student art and poetry contest on the theme of water resources, including water conservation and wastewater treatment. 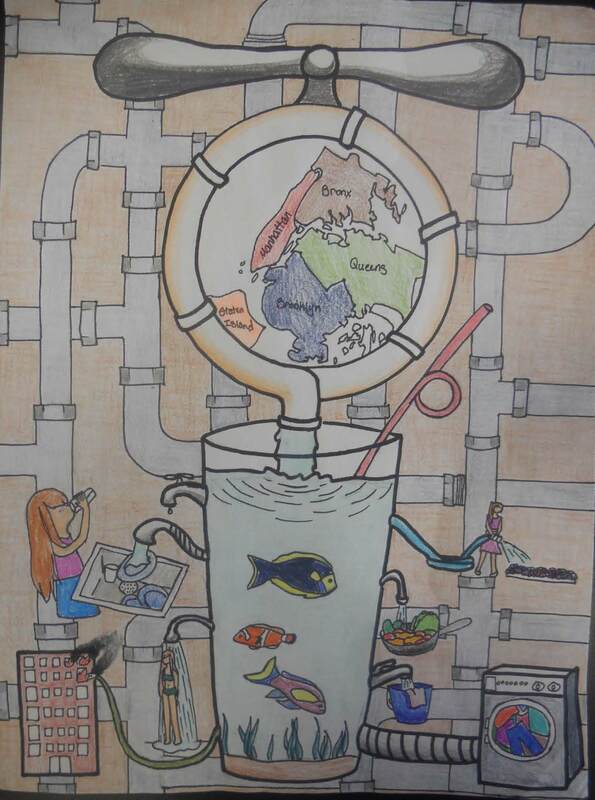 “The Water Resources Art and Poetry Contest is an engaging way to teach students about the infrastructure that supplies more than half the state’s population with clean drinking water and has helped dramatically improve the health of our waterways,” said DEP Commissioner Emily Lloyd in a news release, which includes a list of the 39 winners. I’ve chosen three of my favorites to show you on this page, but you can see all the entries on the Department of Environmental Protection Flickr page. “DEP manages New York City’s water supply, providing more than one billion gallons of water each day to more than nine million residents, including eight million in New York City. By Tasnim Ahmed, grades 10-12, Newcomers High School, Long Island City, N.Y.
“The water is delivered from a watershed that extends more than 125 miles from the city, comprising 19 reservoirs and three controlled lakes. Approximately 7,000 miles of water mains, tunnels and aqueducts bring water to homes and businesses throughout the five boroughs, and 7,500 miles of sewer lines and 96 pump stations take wastewater to 14 in-city treatment plants. “DEP has nearly 6,000 employees, including almost 1,000 in the upstate watershed.